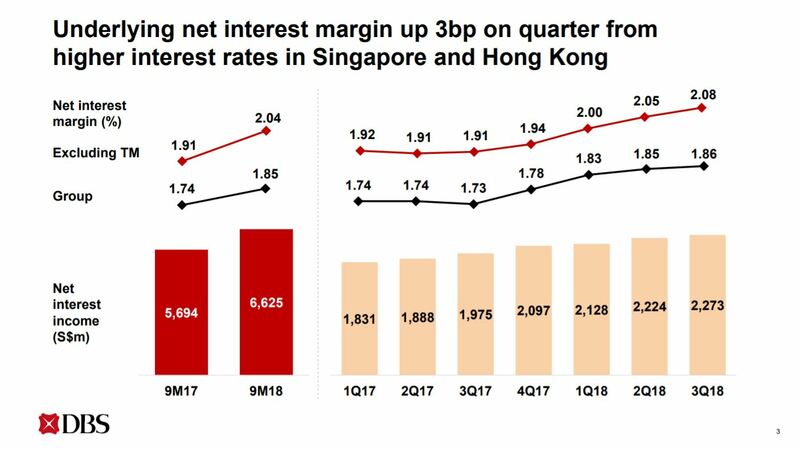 DBS loan growth is expected to be in the mid-single-digit growth path, with continued net interest margin progression in 2019. DBS chief executive officer Piyush Gupta who made these observations in reflecting on the bank’s 3rd Quarter Report said there has been a moderate slowdown in economic growth, but that conditions are still favourable for expansion. The DBS loan growth and higher net interest margin were mostly within its earlier estimates. The bank reported that it delivered another healthy performance in third-quarter 2018 as DBS loan growth, fee income trends and net interest margin progression were sustained. It said that business momentum propelled total income to a record SGD 3.38 billion, up 5% from the previous quarter and 10% from a year ago. 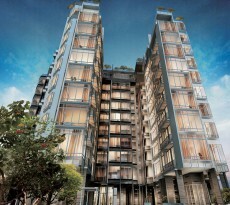 DBS loans expanded 8% to SGD 340 billion, led by consumer and non-trade corporate loans. 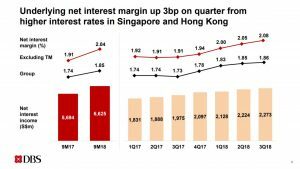 The banks’s net interest margin rose 13 basis points to 1.86% in line with higher interest rates in Singapore and Hong Kong. DBS loan growth is forecasted to be in the mid-single-digit range for 2019 and predicted to continue its rise in net interest margin. DBS is Singapore’s biggest mortgage provider and in the reporting of its previous quarter the bank cut its property loans growth forecast by $1 billion, citing that the property cooling measures introduced in July are expected to hit market sentiment. 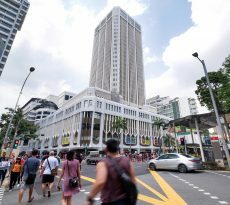 The Managing Director of Monetary Authority of Singapore said that the property loans have seen 34 per cent year-on-year increase when the new property cooling measures were introduced. Mr Gupta said the mortgage business is expected to slow down more than earlier expected. The bank slashed its property loan growth forecast for 2018 more deeply by $1.5 billion saying it now expects new mortgage bookings to end at $2.5 billion for the year. DBS said that it expects two to four rate hikes by the Federal Reserve next year to translate into a stronger US dollar which in turn would have high pass-through to Singapore and Hong Kong interest rates. The United States (US) Federal Reserve’s September meeting minutes showed that American policymakers unanimously backed the central bank’s last rate increase and that US interest rate is expected to increase further this year. This is the the eighth time that the rates have been raised since the 2008 financial crisis, and the third time this year. Another increase in US interest rate is expected in December this year. Mr Gupta said that he expects economic slowdown to be moderate and that conditions are still favourable for economic growth. 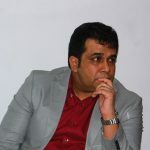 He predicted that the trade war will have an impact mostly on market sentiment, but not directly on the economy yet. He pointed out that China deleveraging remains a concern but that this concern was not a significant one. 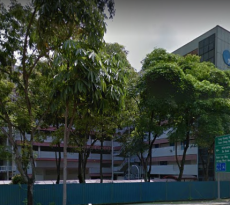 Mr Paul Ho, chief mortgage consultant at iCompareLoan said that DBS loan growth over the next few quarters is likely to be muted, and that most of the housing loans would be the drawdown of loans already approved before the introduction of the cooling measures. He added: “Such weaknesses in the bank loan growth is expected to be corrected by the long-term effects of demand-and-supply. Mr Ho also pointed out that any US interest rate hike is bad news for borrowers in Singapore. This is because the US Fed rate hike has an impact on credit cards, mortgages, vehicle loans and bank savings accounts here, as Singapore interest rates are closely correlated with those in the US. Since the beginning of this year, banks have raised interest rates for both fixed and floating home loan packages by 10 – 30 basis points (bps). Some banks have already upped their mortgage rate to 2.05 per cent, to keep pace with the increasing interest rates. DBS is now charging 1.95 percent a year for each of the three years for its 3-year fixed rate package.